She’s back … like a virgin (of course). I have been looking for a reason to reprise Sister Cristina, and I got it. You know, Sister Cristina, the singing nun who went viral on her way to winning the Italian version of The Voice. Well, she’s released. her first single. Appropriately (? ), it’s a cover of Madonna’s “Like a Virgin” … slower tempo with naughty parts cleaned up. All profits go to the Vatican since Sister Cristina took the nun’s vow of poverty. That’s a bummer. We’ve previously posted about Sister Cristina Scuccia, the nun whose performances on the Italian version of “The Voice” went viral. Girls Just Wanna Have Fun … oh my, Sister Cristina. Well, there by the grace of God, she won it all! During the finals broadcast , the nun — dressed in her traditional habit, crucifix and plain black shoes — appeared surprised when she advanced to the final two, along with Giacomo Voli. Sister Cristina — who was coached by Italian rapper J-Ax was overjoyed when the show’s host announced that she was the winner, taking 62.3 percent of the vote. 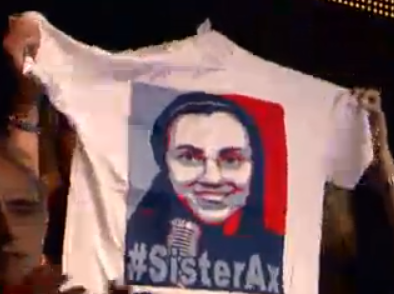 In the audience, her fellow nuns applauded, and cheering supporters waved T-shirts bearing her image and the hashtag #SisterAx. The clincher: Sister Cristina performed a high-energy version “What a Feeling” from of Flashdance, complete with Madonna-like back-up dancers on stage … and her fellow nuns dancing in the aisles. She told the judges and audience “I have been given a gift and I am giving it to you”. OK, so anybody who wants to keep using fossil fuels, to drill for oil and gas in the U.S., and to buy gas for a couple of bucks per gallon is a member of the flat earth society, lacking the the President’s vision. Why Obama wants to insult the vast majority of Americans is beyond me, but that’s his tactical choice. So far, the GOP has simply thrown back softballs: Solyndra, the Volt and the many other alternative energy busts. Keeps focus on the money wasted and lack of results from the President’s alternative energy gambles … and dregs up some old stuff re: Obama’s drug use that got wiped under the carpet in 2008. Not rumors… straight from the horse’s mouth. 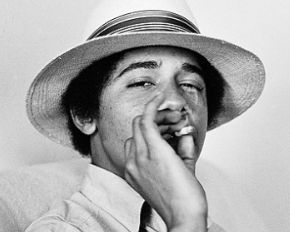 Obama first told of his early drug use in his 1995 memoir, “Dreams from My Father: A Story of Race and Inheritance” … published audaciously just after he became president of the Harvard Law Review. I assume it’ll be modeled after the Jeffrey Immelt-led Jobs Task Force. That’ll let us all sleep a little easier, right? Getting America moving again … the view from the UPS truck. In a recent HBS blog post, the CEO of UPS opined how to get the economy “Moving at the Speed of Business”. The recovery’s been slower than expected. Why? The I talk to lack the confidence to increase investments and expand hiring. They’re concerned with growing budget deficits, uncertain tax policy, rising energy costs, and crumbling infrastructure. Four key changes could reassure business leaders — and ignite private-sector growth. Well stated, UPS-skewed (that’s ok), but fairly common stuff. What caught my attention were a couple of “throw in” points. Natural gas is plentiful in the United States, and it works well for short-haul trucking (compressed natural gas) and long haul trucking (liquid natural gas). Heavy tractor trailers consume about three quarters of the diesel fuel used by all commercial trucks. Imagine the amount of imported oil we’d save — along with improving the air quality — by converting our nation’s long haul fleet of heavy tractors from diesel to natural gas. Today, we address critical transportation needs in isolation. We go from one appropriation to the next, often with politics guiding priorities. As a result, our investments are not targeted at alleviating bottlenecks in our road, rail, maritime, and air networks. The cost of congestion in the United States in 2010 was about $101 billion — up from $79 billion in 2000. Across our UPS network, a five-minute delay each day for each of our vehicles costs us $100 million per year. Extrapolate that across the whole economy, and you get a sense of the huge economic burden of congestion. Thanks to Justin Bates for feeding the lead. Let’s set the stage: The President is caught between a rock (his unions) and a hard place (his enviromentalist supporters). So, he punts the XL pipeline decision until after the 2012 election … telling both sides not to worry that he’ll take their side when nut-cutting time comes. Everybody with an IQ over 50 sees the move as pure politics, but Obama’s boxed. To the rescue: the GOP … by demanding that XL be part of the payroll tax cut extension legislation. Of course, Obama plays the Brer Rabbit card and threatens a veto. So, the GOP hardens its position … XL has got to be part of the package. Because O gets off the hook. Even he knows the pipeline is a good idea – jobs, energy independence, etc. He’d like to sign it, but can’t because of the pressure from the environmentalists. He can’t, unless he’s painted into a corner, say, by the GOP demanding it to pass the payroll tax cut. So, the bill will pass with XL in it, the President will sign it, and he’ll tell the environmentalists that he had no choice. Subsidizing Chinese solar panels … ouch! Must read piece in the WSJ today by TJ Rodgers, outspoken CEO of Cypress Semiconductor. Whenever Washington disrupts a market by dumping subsidies into it, Wall Street will find a way to pocket a majority of the money while the intended subsidy beneficiaries are harmed by the resulting market turmoil. When President Obama says that we must subsidize our solar industry to remain competitive with the Chinese, it would be more accurate to say that we subsidize Wall Street to create employee-less corporations that buy and install Chinese solar panels in the U.S. Consider the current 30% federal solar energy subsidy. A home solar system with 60 solar panels produces about 15,000 watts of power, enough to completely offset the $6,000 annual electricity bill of a typical upscale California home. The system costs about $90,000 prior to the 30% federal income-tax credit, which reduces its cost to $63,000. After a simple payback period of about 10 years, the homeowner literally enjoys free electricity for the remainder of the guaranteed 20-year system life, a very profitable 10 years. But … that $27,000 tax credit, the associated accelerated-depreciation tax savings, and most of the hefty post-payback profits [go] to Wall Street firms with a “tax appetite,” not the homeowner. That’s just what happens with the majority of new home solar-system installations today. For jobs … drill, baby, drill. Punch line: Part of the formula for getting the economy moving is to have a new industry emerge – or have a latent one take-off. Obama tried with his failed green energy initiatives. Now, there’s increasing support for for turning the domestic oil, gas and coal industries loose. And, makes sense to Senators Webb & Warner who have introduced a bill that would expand oil drilling off the shores of Virginia … and split the royalty fees between the Feds and the state. Their argument: raises revenues without raising individuals’ taxes, reduces dependency on foreign oil, potentially reduces – or at least contains – gas prices, and – oh yeah – adds jobs. The Praxis Strategy Group looked over data for the period after the economy started to weaken in 2006. Not surprisingly “recession-proof” fields such as health care and education expanded some 11% over the past five years. But the biggest growth in jobs by far has taken place in the mining, oil and natural gas industries, where jobs expanded by 60%, creating a total of 500,000 new jobs. The average job in conventional energy pays about $100,000 annually — more than twice as high as those in either health or education. Overall U.S. oil production has grown by 10% since 2008; the import share of U.S. oil consumption has dropped to 47% from 60% in 2005. Over the next year, according to one recent industry-funded study, oil and gas could create an additional 1.5 million new jobs. The relative strength of the energy sector can be seen in changes in income by region over the past decade. For the most part, the largest gains have been heavily concentrated in the energy belt between the Dakotas and the Gulf of Mexico. Energy-oriented metropolitan economies such as Houston, Dallas, Bismarck and Oklahoma City have also fared relatively well. In energy-rich North Dakota there’s actually a huge labor shortage, reaching over 17,000 — one likely to get worse if production expands, as now proposed, from 6000 to over 30,000 wells over the next decade. With the proper environmental controls, these industries could provide a major jolt to the economy while cutting down on energy imports, reducing debts and bringing jobs back home. As long as Americans consume oil and gas, why not produce close to the market and with reasonable environmental controls? Hurricanes and power outages … somethings not right. Since Hurricane Irene wasn’t as bad as predicted … and since my electricity has been out … I’ve had plenty of time to sit and ponder the power outage. Though the storm was of relatively low severity (for a hurricane), over 2 million homes lost electrical power. Why isn’t the system more robust than that? What if the storm had been worse? Or, what if the system had been targeted by terrorists? It’s frightening how fragile the system is. Yeah, yeah, yeah … I know that trees fell on the power lines and knocked them down. It’s 2011. Why aren’t all the power lines secured underground. Before you tell me that it costs too much, add up the cost of resetting the fallen lines …. over & over again. Head-scratcher: Why do utility companies have to be called to tell them that power is out? They put boxes on sites to throttle back usage when demand is peaked. Can’t those boxes tell them when power is out? Head-scratcher: When attempting to drive to a nearby friend’s house yesterday, I was blocked by a down power line. I u-turned. Behind me was a BGE repair truck. He u-turned, too, stopped and called the dispatcher. The down line that he was assigned was beyond the one he encountered – so the dispatcher sent him (after about 15 minutes) to another site (I hope). Why didn’t the jabrones just fix the line that the repair crew literally ran into? Geez, that’s why it takes so long to restore power. On the same trip, I passed a couple of homes with really big trees fallen on them. Big time damage, Had sympathy for the folks and stopped whining (for a few minutes) about my power being out, I guess the storm’s severity depended on how hard YOU got hit. Damn generators. Yeah, power out is an inconvenience. But, enough to warrant an auxiliary generator? My view: not unless there’s a medical reason. And, there’s a social cost: Those things are so loud that even I – the soundest of sleepers – had trouble dozing off. Now, that’s an issue for our crack Congress to go after. I figure that I spent about $250 on rope, batteries, etc., that – it turns out – I really didn’t need since the storm didn’t match the hype. Hope that stimulative spending saved or created a job or two. Still amazed by the job Home Depot and Wal-mart did positioning product for hurricane prep and recovery. Shouldn’t all retailers be on the same type of program? Obama says “Drill, baby, drill” … wanna bet? On Tuesday, the U.S. Interior Department issued a permit for Exxon Mobil to drill in the deep waters of the Gulf of Mexico. That’s only the fourth deepwater permit issued since the BP oil spill. On Thursday, the CEO’s were guests at a kangaroo court conducted by some press-preening Senators who seemed to think that raising taxes on oil companies would cut the price of gasoline at the pump. Apparently Econ 101 isn’t a prerequisite for the Senatorial junket. Then, the best of the week came in Obama’s radio address when he reiterated his long-standing support for domestic oil drilling. To be more specific, the president, in his address, said he supported increased domestic oil and gas development, if done safely and responsibly. English translation: not while he and rapster Common are hangin’ at the White House. My bet: no noticeable change in the rate of deepwater licenses granted. Even the mass media didn’t go for this head fake. Coverage ranged from slim to none. Which raises another question: why does the President give a Saturday morning radio address? Does anybody ever listen to it? * Just in case you forgot, Mavis Johnson was Steve Martin’s character in “The Jerk”. Off-shore rigs are still shut-down, waiting for Cowboy Ken Salazar and Energy Secretary Steven Chu (excuse me, the Nobel Prize winning US Secretary of Energy, Steven Chu) to give them the green light to re-start. No sites being developed in ANWR, no new off-shore rigs, existing rigs mothballed … and the Middle East in turmoil. Alibi Ike … and other great lines from George Will. Conservative columnist George Will offered up his review of Obama’s oval office oil spill speech. He introduced a weird lament about a problem he has aggravated: “We’re running out of places to drill on land and in shallow water.” He and his party oppose drilling in the tundra of ANWR and in shallower coastal waters. “The one answer I will not settle for is the idea that this challenge is somehow too big and too difficult to meet. You see, the same thing was said about our ability to produce enough planes and tanks in World War II.” Was it really? By whom? Most Americans then were too busy producing—and flying and driving—planes and tanks to entertain the thought Obama imagines was prevalent. Advisers should explain to our Demosthenes that the correlation between the quantity of his speaking and the fortunes of the things for which he speaks is inverse. Diminishing returns from his rhetoric may reflect the public’s recoil from wretched excess everywhere. The unceasing torrent of his ill-chosen words is analogous to the unstoppable oil spill, which itself resembles his and his party’s incontinent spending. How’s your productivity today ? … More or less than $1 billion per minute? Summon the top execs of a (foreign) mega-corporation to the White House. Demand that they ante $20 billion into a recovery slush fund. Leave the meeting after 20 minutes. Implication: If O can keep up the pace, the National Debt will be gone in no time. Question: Why did BP ante in without a fight ? Dumb or something up their sleeve? Roof leaking? … Then bulldoze the neighborhood. Couple of takes from last nights speech …. Probably just me, but the President just didn’t look right in the venue. It reminded me of student-government day when the Class Prez got to be Mayor of Maple Heights for a day. Or, maybe it was the lack of a doting throng of pressers and supporters. Just didn’t seem right. I’m glad the WH leaked that last night’s address would be a shameless pivot to Cap & Tax – oops, I mean Cap & Trade. Otherwise I would have screamed. The roof is leaking badly, so it’s time to bulldoze the neighborhood and rebuild with most costly homes (Fannie financed, of course). I cringe every time Obama mentions the Nobel prize winning Secretary of Energy. 1) Doesn’t the President know that many folks considered his Nobel Peace Prize to be laughable? Where exactly has peace broken out ? 2) I forget, was Chou’s prize in petroleum engineering or something else relevant? I didn’t hear any references to the Governors who have stepped up to make things happen. Why no mention Salazar (it’s his arena), Napolitano (“it’s a matter of national security”), Holder (lien on them and put ‘em in jail), or the head of FEMA (whoever that might be). Weren’t they dispatched to manage the mess? There still isn’t an organization structure – staffed by capable managers – that can get control of the situation. Where’s Red Adair when you need him ? Watching the BP spill gives me a touch of nostalgia. Remember in the old days – whenever an oil well caught fire or “blew out” — the SOS went out to Red Adair – a legend in capping distressed oil wells. Adair became world notable as an innovator in the highly specialized and extremely hazardous profession of extinguishing and capping blazing, erupting oil well blowouts, both land-based and offshore. Over his long career he battled more than 2,000 land and offshore oil well, natural gas well, and similar spectacular fires. He gained global notability in 1962, when he tackled a fire at a gas field in the Sahara nicknamed the Devil’s Cigarette Lighter, a 450-foot (137 m) pillar of flame. In 1977, he and his crew (including Asger “Boots” Hansen) contributed in mending the biggest oil well blowout ever to have occurred in the North Sea (and the 2nd largest offshore blowout worldwide, in terms of volume of crude oil spilled). Adair died August 7, 2004, so BP couldn’t call him this time. Isn’t there another Red Adair out there someplace who can swoop in and save the day ? ‘Ridiculous finger-pointing’ or ‘systemic failure’ … it’s in the eye of the beholder, I guess. Last week, President Obama lambasted BP, TransOcean and Halliburton for “ridiculous finger-pointing” that he “didn’t appreciate”. So, the President points his finger at, well, finger-pointers. That in itself is funny, isn’t it ? From a guy who then went to a fundraising event where he proceeded to point his finger (again) at Pres. Bush for everything except the Bubonic Plague. From a guy whose department heads in State, Homeland Security, NSA, CIA, FBI all pointed their fingers at the others – to duck blame for the Xmas underwear bomber. In that case, the finger pointing was legitimized as characterizing a “systemic failure”. Translation: it was nobody’s responsibility – certainly not the President’s. Why didn’t BP, TransOcean and Halliburton just claim the oil well blast & leak was simply a systemic failure ? Then, maybe, the President wouldn’t have pointed his finger at them for finger pointing ! BP’s brand equity … it’s leaking, too. Some Homa family members avoided Exxon stations like the plague after the Valdez accident. My bet: they weren’t alone. Same fate for BP (nee British Petroleum} ? Early data says yes — BP has gone from being No. 1 in its category in a brand-loyalty index maintained by research company Brand Keys — to dead last. Next question for BP: how to restore its brand equity ? Good news for BP: no signifcant retail competitors except , well, Exxon. BP’s brand equity has exploded almost as quickly as its faulty well mechanism at the bottom of the Gulf. Reportedly, BP has gone from being No. 1 in its category in the brand-loyalty index maintained by Brand Keys — to dead last. Part of BP’s long-term problem will be that the company has gone so far out of its way over the last several years to position itself as the “green” oil company, with a sunny new logo composed of green and yellow; a new slogan, “Beyond Petroleum,” and the playing up of the BP acronym instead of its name; and its boasts about alternative-energy initiatives such as wind farms. All of that seems laughably hollow now as BP is unmasked as – gasp! – basically an oil company — drilling the world’s deepest wells in the Gulf of Mexico, scouring for oil in the Arctic, squeezing natural gas from the rocks of Oman. British Petroleum must fight to not join the ranks of all-time corporate villains, a list that includes fellow oil giant Exxon Mobil, which achieved infamy for Alaska’s Valdez disaster in 1989. While BP is adamant that it will clean up this spill — the bigger challenge may very well be cleaning up and restoring the BP brand. The power of branding … What does "BP" stand for ? I’ve been a bit surprised that I haven’t heard or seen a single news report of the rig blast and oil spill that has referred to BP by its former name BRITISH PETROLEUM … or have made reference to the fact that its the UK’s largest corporation. (3) Isn’t branding a powerful tool ? … imagine if the company was still called British Petroleum. BP is the UK’s largest corporation. BP plc (formerly The British Petroleum Company plc then BP Amoco plc) is a British global energy company that is the third largest global energy company and the 4th largest company in the world. The company is among the largest private sector energy corporations in the world, and one of the six “supermajors” (vertically integrated private sector oil exploration, natural gas, and petroleum product marketing companies). British Petroleum merged with Amoco (formerly Standard Oil of Indiana) in December 1998, becoming BPAmoco until 2000 when it was renamed BP and adopted the tagline “Beyond Petroleum,” which remains in use today. The company states that BP was never meant to be an abbreviation of its tagline. Ken’s Take: The conventional plan has been to make small hybrids — that few outside metroplexes are interested in, and which stand no chance of generating profits for auto companies. I like that this plan tries to transforn SUVs and pick-ups into socially responsible rides..
Every president since Richard Nixon has vowed to reduce the United States’ dependence on foreign oil. None has succeeded. Imports—and thus America’s vulnerability to disruptions—have increased to where now they supply two-thirds of consumption. The best alternative to oil? Electricity. The means? Convert petroleum-driven miles to electric ones. What would it take to build enough plug-in electric vehicles (PEVs) to make a significant dent in oil consumption? Revamping the fleet of automobiles already on the road through production of new automobiles would take far too long for comfort. If ten automobile manufacturers each introduced a new PEV now and increased its production as fast as Toyota did with its highly successful Prius, the vehicles would still account for less than 5 percent of the 250 million vehicles on US roads a decade from now. We believe the United States should consider accelerating this movement by creating an industry of after-market retrofitters. We estimate the price tag of such a pilot project to be around $10 billion, owing to the present high cost of batteries, which are around $10,000 each. Assuming an average gas price of $3 per gallon, the payback period to the owner of a retrofitted vehicle is at least ten years, not a strong economic incentive. 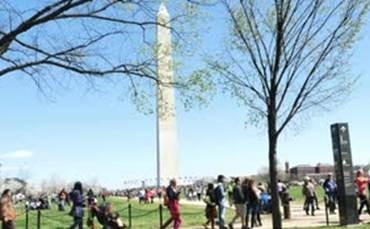 But the benefits of this program—testing and validating a key approach to energy resilience—accrue to the well-being of the United States at large. As the general population is the predominant beneficiary, economic assistance flowing from everyone to vehicle owners, in the form of tax incentives, is justified. There are different approaches to retrofitting vehicles. We favor GM’s Volt design, in which the car is directly driven by an electric motor. To simplify the retrofitting task, we would limit the scope of the program to six to ten U.S. models, selected on the basis of two criteria: low fuel efficiency and large numbers of vehicles on the road. Most of these vehicles would be SUVs, pick-ups, and vans. Further, we propose targeting fleets of automobiles owned by corporations or government entities. That way, many retrofits could be performed at just a few locations. Given the current difficult economic conditions, auto dealers and garage operators may well be attracted by this potential new source of revenue and be eager to participate, helping the program in its early stages. The biggest problem, however, is the availability of batteries. The most suitable battery technology, which offers both a sufficient range and enough power to provide the acceleration required by today’s drivers, is the lithium-ion battery system. Making the batteries required for one million vehicles would mean doubling current manufacturing output. There is another issue we need to consider. While there are many sources of the batteries’ raw materials—such as lithium and cobalt—battery manufacturing is almost exclusively based in China, Japan, and Korea. To avoid battery manufacturing becoming the next source of dependency, we have to build domestic technical and manufacturing capability. Another important goal is to improve the cost and quality of battery technology. We are approaching the inevitable decline of oil availability which gives the United States the opportunity to move into a more desirable strategic position. Today, we compete with countries whose richer natural resources give them a strategic advantage. If we shift transportation towards electric miles, we gain an opportunity to employ our own resources: newly energized governmental leadership, a tradition of high-volume manufacturing, and a culture of technological innovation. These capabilities and skills have served the United States well in the past, and the drive toward electric miles may help revitalize them. That result is every bit as important as the electric miles themselves. Ken’s Take: Think about it … a financial derivative tied to the amount of carbon that an energy generating facility doesn’t emit. At least mortgage backed securities were, well, backed by mortgages — albeit risky ones. These derivatives would be backed by, well, nothing, except a Congressional definition that could change at Barney Frank’s whim. You’d think that Enron and the current financial mess would have soured folks on those sorts of financial instruments. Ken’s Take: The Bushers were clever rebranding the estate tax as the more pejorative sounding “death tax”. Team Obama is similarly clever calling their energy tax “cap and trade”. Doesn’t change the essence — it’s a tax. On pure economic grounds, a straight carbon tax, would be simpler and more efficient than cap and trade. That is, to achieve the increased energy prices essential to the success of cap and trade. With breakneck construction of conventional coal plants, China has already surpassed U.S. coal capacity and is on pace to double it sometime in the middle of the next decade. The U.S.,could close down every single coal plant immediately … but that wouldn’t do much good in the scheme of things,” because atmospheric CO2 concentrations would continue to rise as China continues to expand. Factoid: 79% of France’s electricity is nuclear generated. On the one hand, environmentalists claim that climate change is a “planetary emergency,” perhaps the greatest threat ever to face humanity. On the other, nuclear energy is still verboten in the green catechism — despite the fact that it provides roughly one-fifth of U.S. electricity, all of it free of carbon emissions. Without more nuclear power, it is nearly impossible to see even the glimmers of any low-emission future. A lot of companies stand to make a bundle off cap and trade. Ironically, the nuclear industry stands to benefit as much as any “green” business from a carbon crackdown. So, if Congress does create cap and trade, expect the next populist outcry to be for a windfall profits tax on nuclear. Ken’s Take: … and don’t expect any more nuclear power plants to be brought on line.